As you might already know, cannabis and beer go well together. But there‘s more to it than just taste - hops and cannabis are more closely related than you may think. As established by the reinheitsgebot - the german beer purity law - the only ingredients that could be used to make beer are water, barley and hops. Of particular interest to us is hops, which is used to add flavour and stability to beer. However, what may be surprising to find out, is that hops are a member of the cannabis family of plants - the cannabaceae. Although hops share the same botanical family as marijuana, hops do not contain the same psychoactive compounds as cannabis. Also, hops are not the component in beer that cause intoxication, that is the alcohol created by the fermentation process that causes this. Hops contribute acidity and oils that effect the taste and smell of beer, with very hoppy beers being attributed to having a very bitter taste. Hops also act to prevent the growth of certain types of bacteria, making them an important addition for the stability of the brew. But more importantly, hops do have certain psychoactive effects on their own. Although mild in nature, hops contribute to the relaxing and sedative effects of beer. In fact, hops have been used as a natural remedy by themselves for a long time. The plant has been used to treat sleep disorders, anxiety symptoms, menstrual problems and a variety of nervous system related disorders. There‘s two things naturally coming to mind when you hear about the cannabis-hops relationship. First, can you cross hops with cannabis to grow a hop-hybrid with THC? Unfortunately no, it‘s been tried many times and it doesn‘t work. But the other obvious idea is to simply infuse beer with cannabis - and yes, that‘s possible and it‘s been done successfully. Cannabis beer is something that has been made for a long time by certain secretive home brewers. However, in the past, finding a good recipe could be frustrating, as experienced brewers are often tight lipped on the subject, and cannabis forums being vague and inaccurate in their instruction. Fortunately, with sweeping reform and the legalisation of recreational use in the US states Washington and Colorado, cannabis beer is now experiencing a revival. It is now possible to find much more accurate and useful instructions online, and some breweries in Colorado are even producing it commercially. A good example of this is Redhook Ale Brewery, who is distributing their new beer “Joint Effort Hemp Ale” within the state of Washington. By doing this they are safe from federal intervention, as the federal government only has the power to intervene in interstate commerce. Even the tap lever used to pull and pour the beer in bars lets customers know what the beer is about – it is a functioning bong! So, fancy having a go at adding marijuana into your own homemade beer? The following will give you a good idea how to do it correctly, however, it assumes that you are familiar with the brewing process - though not hard to initally learn, it can develop into an artform in itself. Also, remember to experiment - it‘s a rough guideline. Before being used in any brew, cannabis material should be properly dried out. After, soak the plant matter in cold water for a few hours. This helps to remove some of the excess chlorophyll that is attributed to the sharp taste sometimes encountered with poorly dried/cured marijuana. It is also worth noting that whilst using prime bud in a brew may be beneficial, many will consider it as a waste. Trimmings, leaves and stems can be used, as they too contain an amount of cannabinoids – you do not need to use your top quality weed to get this done. Basically, to add marijuana to a homebrew you need to dry hop it. Put the cannabis in at the same time as the hops, and let it stay in there for as long as the hops do. The cannabinoids are alcohol/fat soluble, and will dissolve in the brew as it ferments. It is best to do this with a nylon net, which acts as a “tea bag” much in the same way most people do with hops. These nets can be obtained from most brew shops. 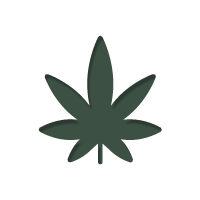 In terms of quantity of marijuana to use, some use approximately 30 grams per 5 litres of brew. How strong of a brew this becomes will largely depend on the strength of marijuana used. It is best to use this as a starting point and then adapt the amount used in future brews to find the sweet spot – this should not be a problem for most experienced brewers, as the process of brewing often changes and evolves brew to brew.